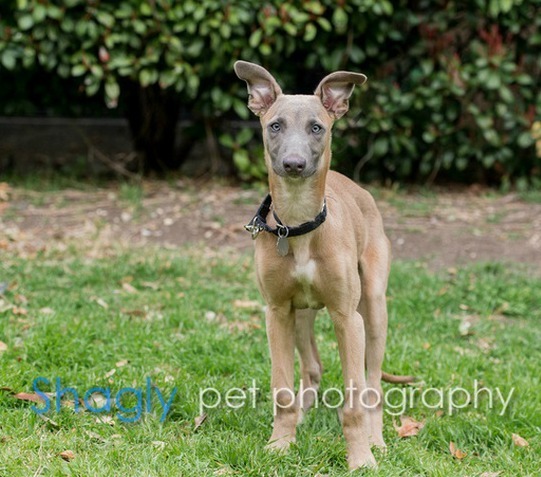 Kris, aka Kris Kringle, is an approximately 6-month-old blue fawn male with blue eyes born around October 25, 2014. He was surrendered along with three of his littermates from the same home as the Baytown Nine puppies GALT received this summer. 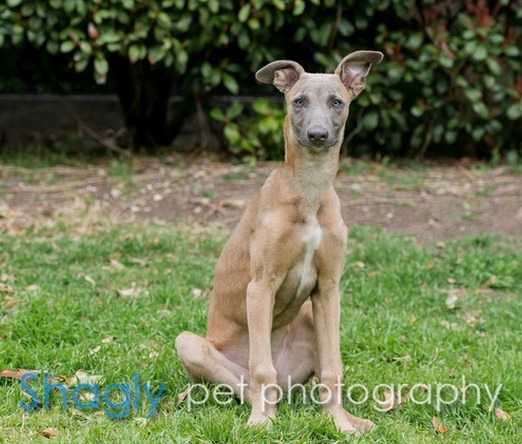 A volunteer in the area is working with the home to have their male greyhounds neutered. In honor of the holiday season, the four pups have been named in a holiday theme! The other boys are Nick, aka Saint Nick and King, aka We Three Kings. Sadly, the fourth puppy, Feliz Navidad, passed away in his sleep on the eve of his arrival at GALT. Kris will not be available for adoption until he has been neutered. Kris suffered a left tibial avulsion fracture. 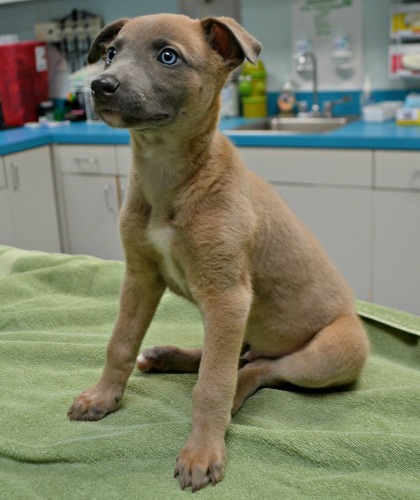 Surgery was performed by Dallas Veterinary Surgical Center on March 12 to repair the injury and all went well and as expected. Kris is being kept very quiet for the next 8 weeks in his foster home while his leg heals. Kris's leg has healed and he has been cleared for normal activity. He's ready to find a forever home!